PRODUCT DESCRIPTION: Liquid form of the most commonly used material for PH control. Generally applied as either a powder or pelletized, liquid lime is highly concentrated and will affect the local PH measurement quickly. WHERE TO USE IT: In soil that needs to have a PH adjustment. Since lime will help to raise PH, use this when an acidic condition is prevalent. 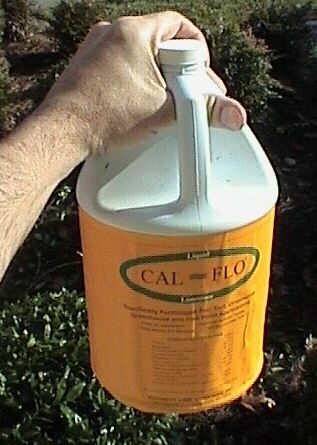 Liquid lime can be applied to grass, mulch, pine straw, flower beds, potted plants and basically any where soil exists that needs to be adjusted. 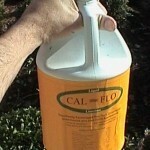 RATE OF APPLICATION: 1 gallon will treat up to 17,250 sq/ft of turf which is slightly more then 1/3 of an acre. This coverage is based on the need to raise your PH .5-1.0. PH will adjust almost immediately following a good watering in of the treatment and should be monitored as detailed in our article to prevent it from dropping excessively in the future. Liquid lime is a lot better and easier to apply than pelletized lime.